be quiet! 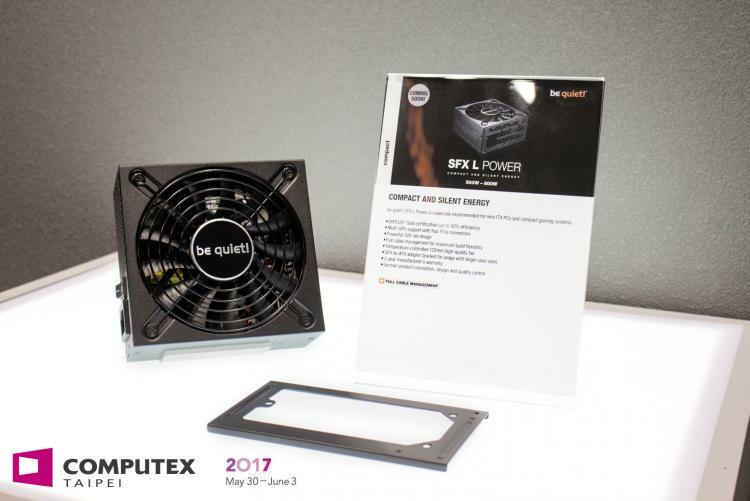 joins Computex 2017 and exhibits its new and upcoming products from May 30th to June 3rd. be quiet! 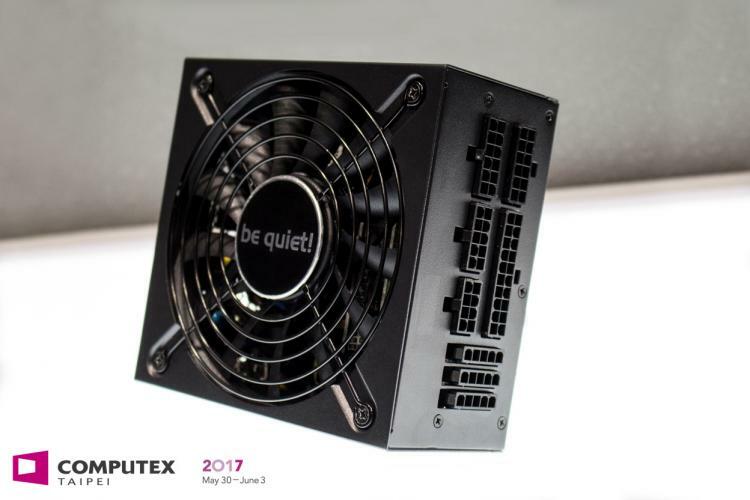 highlights its newest addition to its power supply porfolio including the wire-free premium power supply series, Straight Power 11. be quiet! also presents the company’s first SFX L power supply. For its addition on their case line up, be quiet! 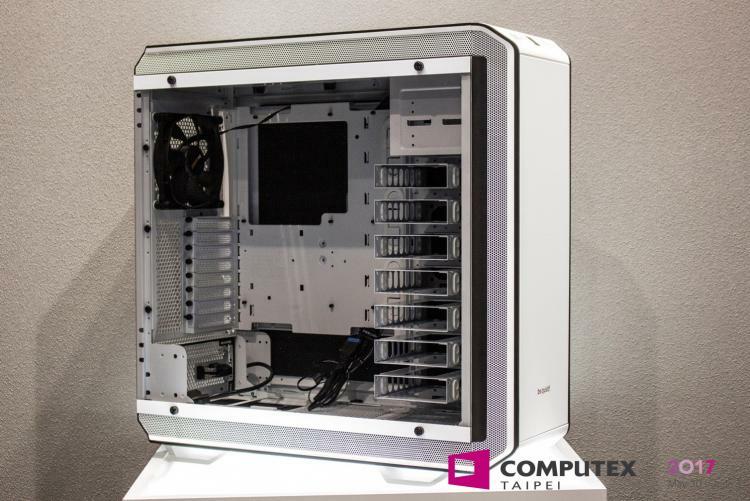 adds a limited edition version of the Dark Base Pro 900 in white. 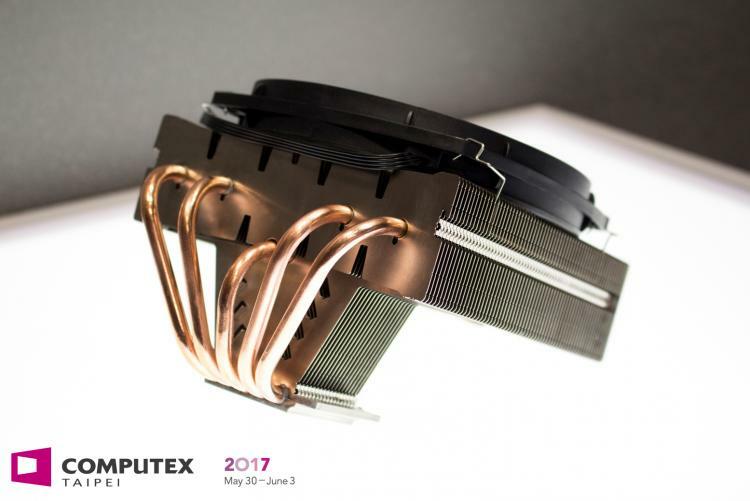 The Shadow Rock TF 2 CPU cooler and Silent Loop 360mm All-in-One water cooler will also make appearances at this year’s Computex, following their recent reveals at CeBIT 2017.
be quiet! 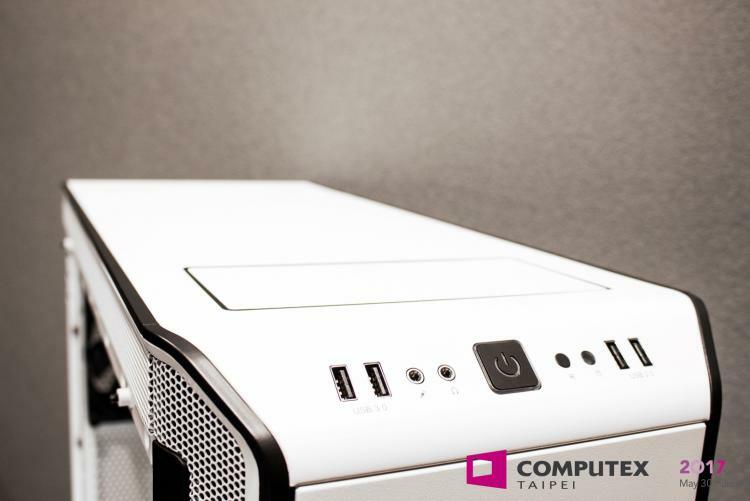 is releases an eye-catching limited edition of the flagship case PC case Dark Base Pro 900 in white. 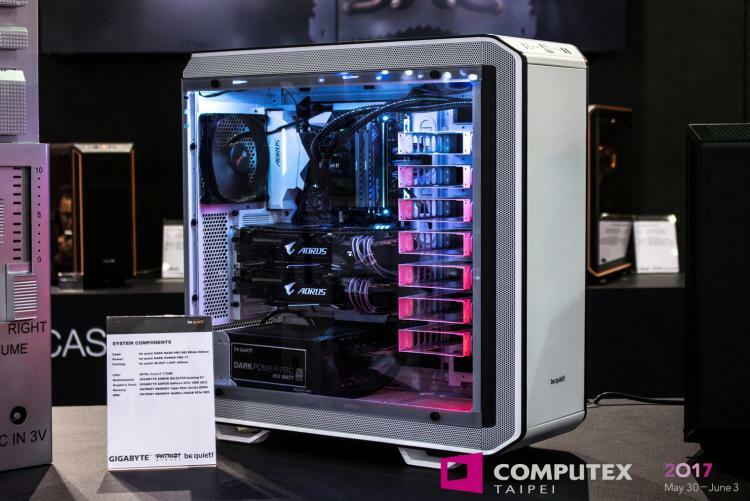 It features the same superb cooling capabilities and versatility, pre-installed SilentWings 3 fans, E-ATX and XL-ATX motherboard support, panels with installed sound proofing, wireless charging, attractive LED light strips, a large tampered glass side window and much more. 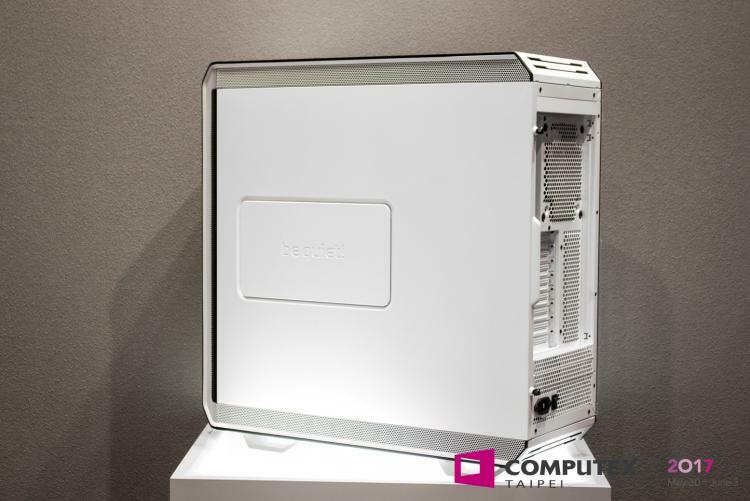 The Dark Base Pro 900 White Edition is limited to 2,000 pieces with a numbered aluminium badge. The Straight Power 11 is rated at 80PLUS Gold with efficiency up to 93% and uses a redesigned PCB with an innovative wire-free design on the DC side which results to better cooling performance and improved lifespan. be quiet! uses a 135mm version of the SilentWings 3 fan for cooling. Straight Power 11 integrates the full suite of current protection circuits (OCP, OVP, UVP, SCP, OTP and OPP) and only uses 105°C rated Japanese capacitors. Straight Power 11 line will be available with full cable management and rated from 450W up to 1,000W. 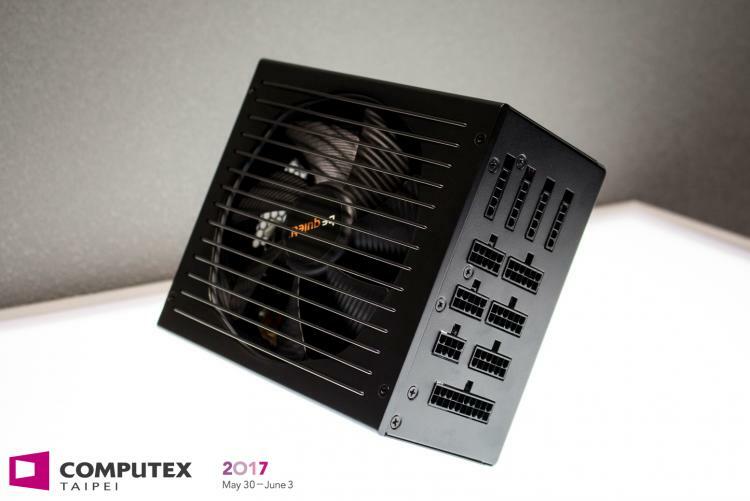 SFX L Power is the ideal PSU for Mini-ITX systems. The fan operates silently at low loads and at a lower speed than 80mm fans commonly used in SFX power supplies. Available in either 500W or 600W models, SFX L Power includes 80PLUS Gold certification with a rating of up to 92% efficiency, full cable management, four PCI express connectors for multi-GPU configurations and is rounded off with the full suite of protection circuits (OCP, OVP, UVP, SCP, OTP and OPP). 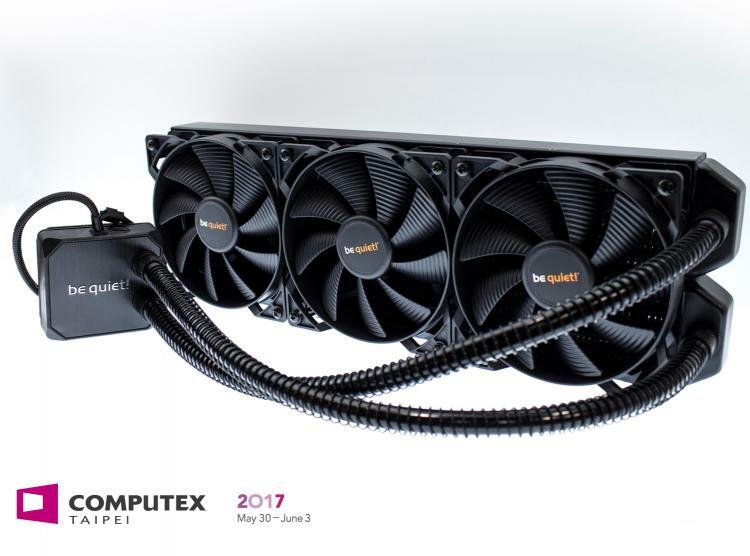 Designed for PCs with limited space, the 112mm (including fan) height Shadow Rock TF 2 is the ideal top flow cooler, offering powerful cooling and great performance at a reasonable price. With a TDP rating of 160 W, the Shadow Rock TF 2 is powerful enough to handle all current processors while reaching significantly lower CPU temperatures than its predecessor. Shadow Rock TF 2 is compatible with all Intel and AMD sockets, including AM4. The Silent Loop 360 features innovative whisper-quiet reverse-flow pump and high-quality build. Silent Loop 360mm is compatible with be quiet!’s Dark Base 900, Dark Base Pro 900 and Pure Base 600 chassis. Three Pure Wings 2 120mm PWM fans with airflow-optimized fan blades help handle cooling, both silently and efficiently, while Silent Loop 360mm’s nickel plated copper cooling block improves synergy with different kinds of thermal grease.